TNI Bureau: The ongoing legal combat between the two mammoth global Tech companies has taken a pause thanks to the recent verdict by a US Court in San Jose on 24th August 2012, where Samsung took the hammering. A nine-person jury unanimously agreed with Apple and ordered Samsung to pay $1 billion rejecting Samsung’s counter claims. The two techno giants are fighting the legal war against each other in the courts of nine other countries. Apple Inc. had claimed that Samsung Electronics Co.’s Smartphones and computer tablets “slavishly copied” it’s unique products, the iPhone and iPad. The Apple v. Samsung battles have been seen as parts of a proxy war that Apple continues to wage against Google, as Samsung run on Google’s Android OS. Conversely, Samsung countered with its own claims that Apple used its wireless technology without proper compensation, but it was ignored and Apple was given a landslide victory against Samsung. Apple described the pre-Steve Jobs era of global mobile industry to be nothing but just messes of buttons and switches. The global scene changed and captured motion only after Steve Jobs descended with the iPhone introducing touchscreen. On the other hand Samsung avers that they came up with this stuff on their own before the iPhone was introduced. 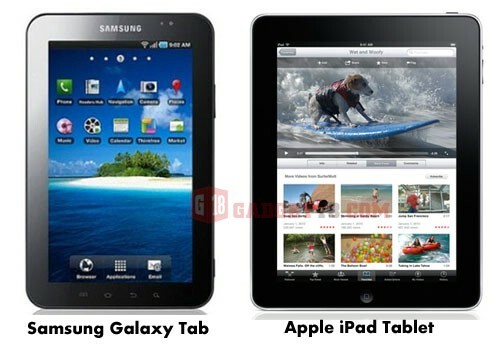 In the recent case, the jury voted that nearly all of Samsung’s devices infringed on Apple patents aside from its tablets and so the verdict was a nearly complete landslide victory against Samsung for Apple. The fallout was that it was a big blow to Samsung besides the fiscal damage as it would lead to a situation that Samsung needs to re-design almost all its iPhone. Again, the verdict has also got a huge effect as now all Apple competitors will have to redesign their Smartphones to avoid infringing Apple’s patents. In other words, the verdict sends a threatening message to device makers like Samsung and others, who use Google’s Android operating system. Earlier another verdict was rendered where a South Korean court issued a split decision and ordered both companies to pay the other nominal damages. Now the present situation is that Samsung is asking the trial judge to toss out the jury’s verdict. If that fails, the South Korean technology giant says it will appeal all the way to the U.S. Supreme Court. On the other hand if this condition arises then Apple will reportedly ask the judge to triple the damages award to $3 billion since the jury found Samsung “willfully” infringed its patents. Adding to that the top iPhone maker will also ask to remove several of Samsung’s Smartphones from the U.S. market. The case has been posted on Sept. 20 for hearing. Nevertheless our point is that this legal war should end at the earliest since costumers across the globe will be the ultimate prey of any consequence borne by the victim company, who loses the case.